Thank You for Supporting Digital Sisterhood Network from 2010-16! Thank you for supporting the Digital Sisterhood Network (DSN), Digital Sisterhood Radio, and my book Digital Sisterhood: A Memoir of Fierce Living Online! It was truly my honor to serve as the founder of DSN and host of Digital Sisterhood Radio from 2010 to 2016. I blessed by all of the w am deeply grateful to all the women I met online and offline. Your presence, passion, powerful stories and businesses, and service for organizations, causes, and communities enriched my life, digital career, and book tremendously. I hope you will use the DSN website, blog, and resources in your digital life and career. Feel free to visit AnandaLeeke.com to learn about my current work as a mindfulness teacher, author, consultant, and artist. Contact me on ananda@anandaleeke.com. Happy Digital Sisterhood Month 2015! 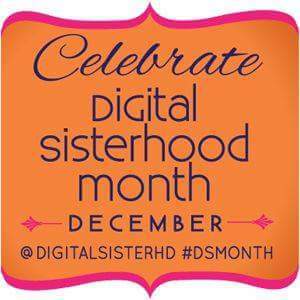 Happy Digital Sisterhood Month 2015 Digital Sisters! Today marks the beginning of the sixth annual celebration of Digital Sisterhood Month. 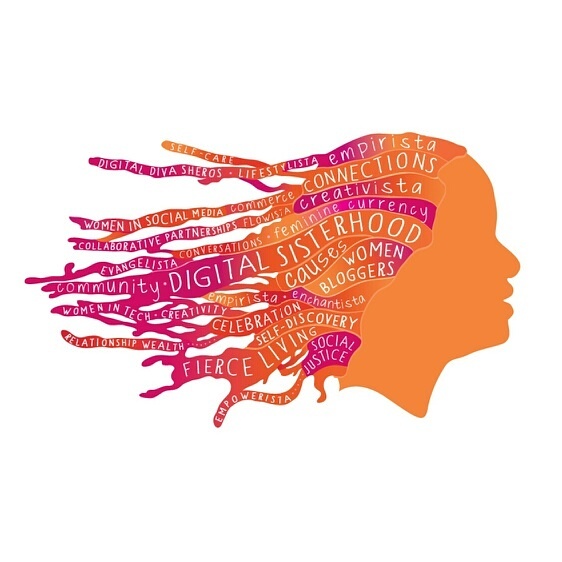 “Connect 1:1 = #DigitalSisterhood” is this year’s theme. It encourages Digital Sisters to invest time in cultivating one-on-one relationships with a small group of Digital Sisters. Quality vs. Quantity is what we are encouraging you to seek in nurturing your Digital Sisterhood relationships. During the first week of Digital Sisterhood Month, we invite you to focus on your most important Digital Sisterhood relationship. The one you have with YOURSELF. Connect one-on-one with YOURSELF! Spend quiet time (unplugging) asking yourself what do you need to know, think, say and do to move through the final days of 2015 and start 2016 as a Fierce Living woman! Resources and tips will be posted on the DSN blog and social media tonight. Enjoy Day #1 of #DSMonth! 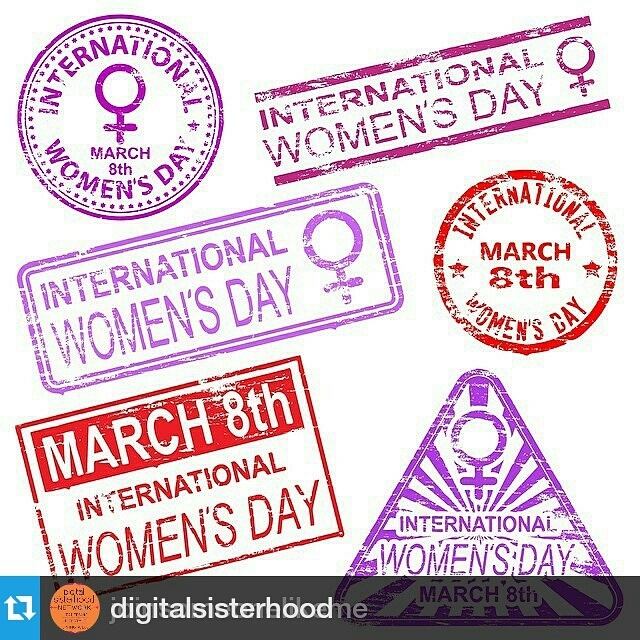 Happy International Women’s Day Digital Sisters! This year’s fifth annual celebration of Digital Sisterhood Month focused on “Gratitude for Digital Sisterhood Communities”. 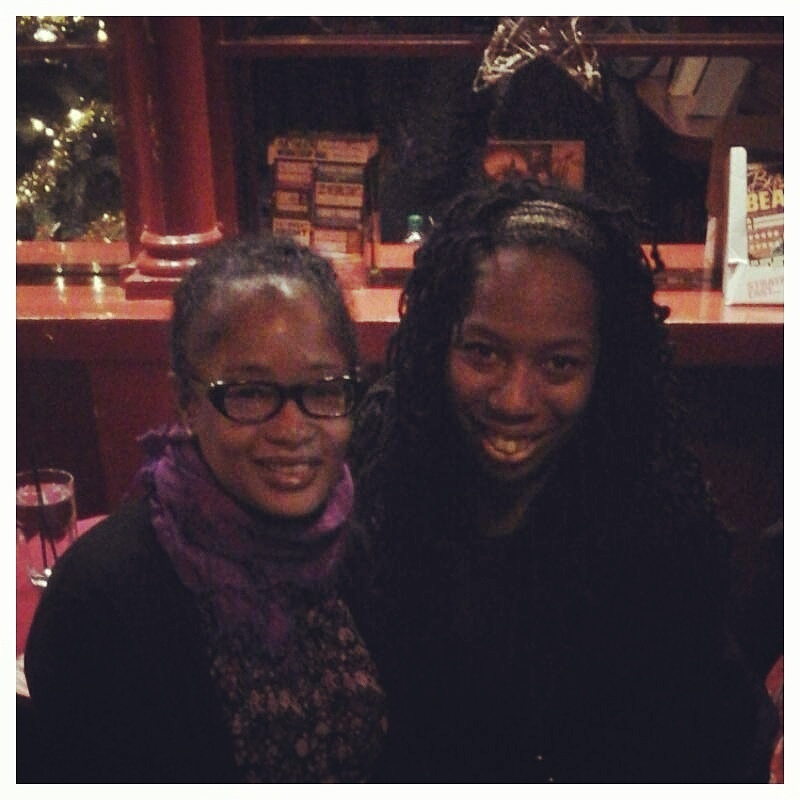 Digital Sisterhood Network founder Ananda Leeke was able to express her gratitude when she visited and met with several digital sisters during her recent trip to London, England. 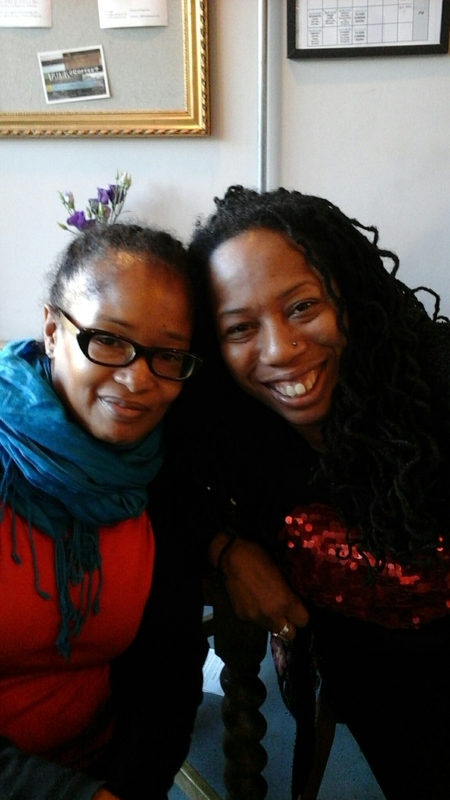 Leeke’s first London #DigitalSisterhood meet up was with 2014 Digital Sister of the Year Marilyn Fontaine , an artist, author, holistic and creative coach, and yogini. They met for a Caribbean dinner at the Stratford Centre in East London. During their meet up, they discussed how much they have informed and inspired each other since they first connected online in 2006. They also shared lessons learned in maintaining a healthy lifestyle with life coaching support and self-care practices, being an artist and yogini, building community with women online and offline, managing and growing a business as a female entrepreneur. 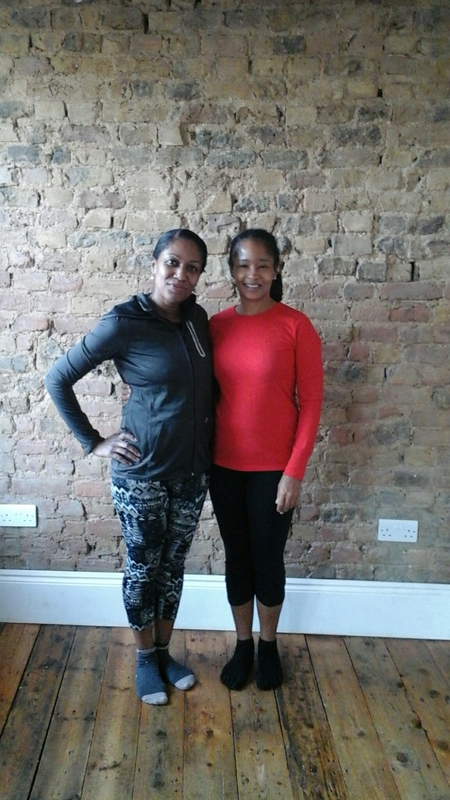 Since they were both yoginis, they scheduled a second meet up that included a Saturday vinyasa yoga class taught by Digital Sister Rosemarie St. Louis, a yoga teacher and transformation coach, and tea at Coffee7, a cafe in Forest Gate (East London). St Louis’ vinyasa yoga class was a soulful surrender kinda of experience for Fontaine and Leeke. 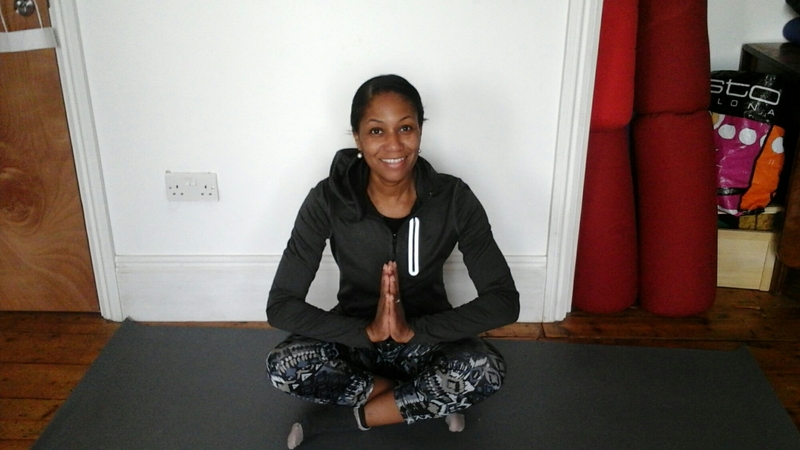 Each yoga pose allowed them to reconnect to their spirit, heart, mind, and body with ease and grace. Throughout the class, St. Louis assisted them in stretching beyond their comfort zones and shared yoga wisdom as food for thought. 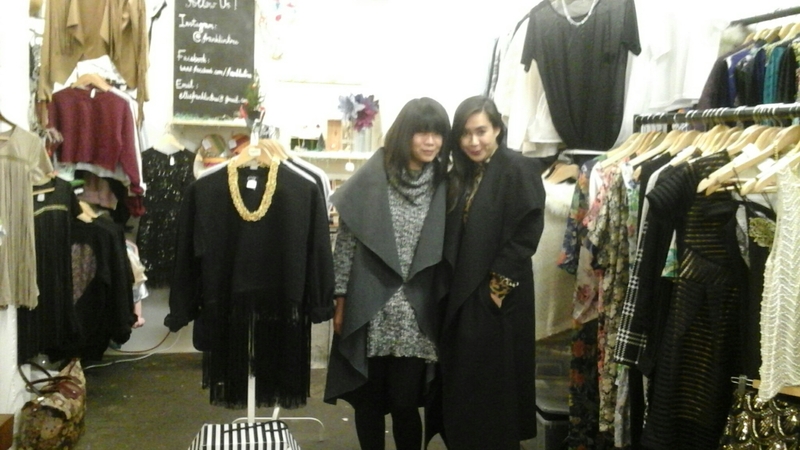 After class, Fontaine and Leeke had tea and hot chocolate at Coffee7. During their conversation, they started brainstorming about ways they could support each other in 2015 and beyond. They also shared resources for their businesses and social media efforts. What an affirming #DigitalSisterhood Community experience! Supporting digital sisters who own businesses is a great way to build #DigitalSisterhood Community. 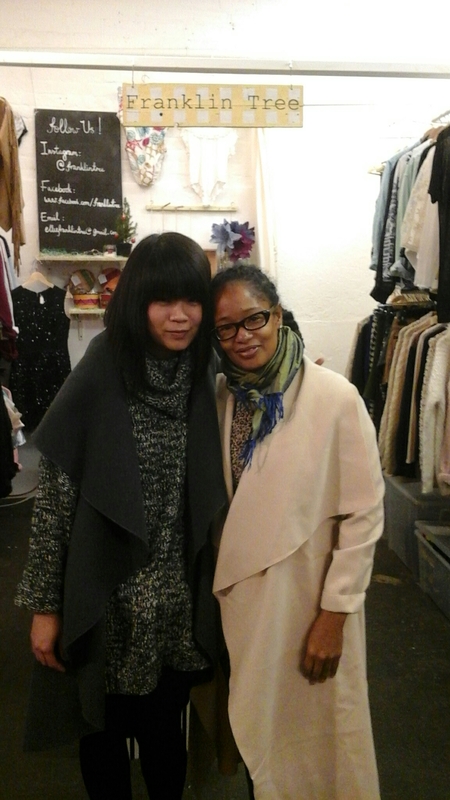 That’s what Leeke did when she visited Franklin Tree, a boutique specializing in vintage and handmade clothing and accessories established by Hymy and Lynn, on Brick Lane in East London. 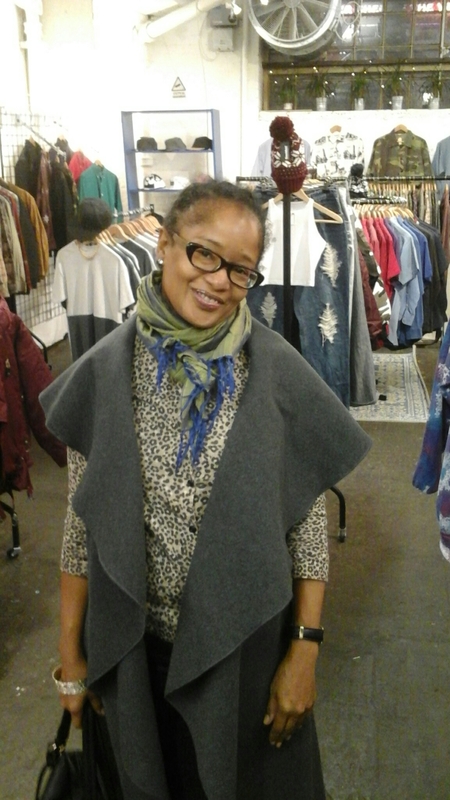 Check out the grey cape and winter white coat she purchased from Franklin Tree. expectations, think about the positive and affirning #DigitalSisterhood Community moments and relationships you have experienced. How can you expand on them in 2015? DC/MD/VA Digital Sisters you are invited to attend the Digital Sisterhood Month Breakfast Meet Up on Saturday, December 6 from 9:00 a.m. to 10:30 a.m. at Love ‘n’ Faith Cafe, 2424 14th Street, NW, Washington, DC (a few blocks from the U Street/Cardozo Metro Station on the Green and Yellow Lines). Love ‘n’ Faith Café is a woman-owned business. The topic of discussion is Digital Sisterhood Communities. Digital Sisterhood Network founder Ananda Leeke will lead the discussion. Each person is asked to purchase at least one beverage to support Love ‘n’ Faith Cafe during the meet up. PS: You don’t need to sign up for the event. 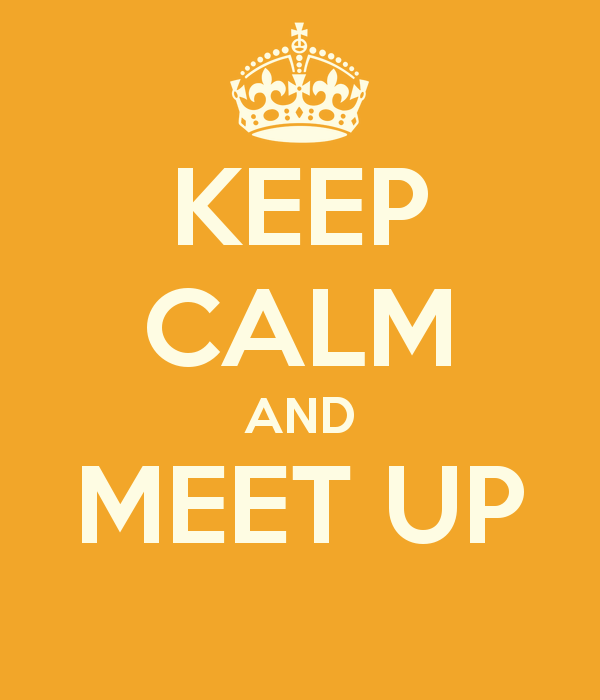 Just come, bring your Digital Sisterhood smiles, and be ready to chat! Join today’s Digital Sisterhood Month (#DSMonth) Twitter chat on #DigitalSisterhood Communities at 12:30 p.m. to 1:30 p.m. EST. 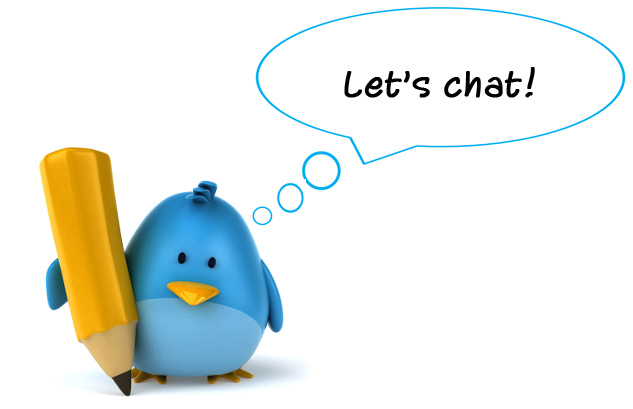 Follow @DigitalSisterhd and use #DSMonth hashtag to participate in the conversation.